Here are the most important news items we have published in 2011 on PHP.net. The PHP development team is proud to announce the 4th release candidate of PHP 5.4. PHP 5.4 includes new language features and removes several legacy (deprecated) behaviours. Windows binaries can be downloaded from the Windows QA site. THIS IS A RELEASE CANDIDATE - DO NOT USE IT IN PRODUCTION!. This is the 4th release candidate. The release candidate phase is intended as a period of bug fixing prior to the stable release. No new features should be included before the final version of PHP 5.4.0. Read the NEWS file for a complete list of changes in this release. Please continue to help us to identify bugs in order to ensure that the release is solid and all things behave as expected. Please test this release candidate against your code base and report any problems that you encounter to the QA mailing list and/or the PHP bug tracker. The next release candidate will be released in 14 days. 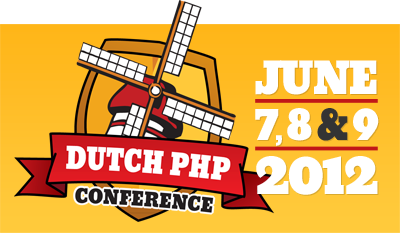 Ibuildings is proud to organise the sixth Dutch PHP Conference on June 8 and 9, plus a pre-conference tutorial day on June 7. Both programs will be completely in English so the only Dutch thing about it is the location. Keywords for these days: Know-how, Technology, Best Practices, Networking, Tips & Tricks. The PHP development team is proud to announce the third release candidate of PHP 5.4. PHP 5.4 includes new language features and removes several legacy (deprecated) behaviours. Windows binaries can be downloaded from the Windows QA site. This is the third release candidate. The release candidate phase is intended as a period of bug fixing prior to the stable release. No new features should be included before the final version of PHP 5.4.0. $_SERVER['SERVER_NAME'] and $_SERVER['SERVER_PORT'] are now available in the builtin CLI server implementation. Several improvements and bug fixes in the Zend Engine, Core and other extensions. The PHP development team is proud to announce the second release candidate of PHP 5.4. PHP 5.4 includes new language features and removes several legacy (deprecated) behaviours. Windows binaries can be downloaded from the Windows QA site. This is the second release candidate. The release candidate phase is intended as a period of bug fixing prior to the stable release. No new features should be included before the final version of PHP 5.4.0. Further bug fixes in the built-in web server. PHP-FPM is no longer marked as EXPERIMENTAL. The Italian PHP user group GrUSP is pleased to announce the 9th edition of the Italian phpDay conference, taking place on May 18th and 19th, 2012 in Verona. We will show new development traits, best-practices and success cases related to quality, revision control, test-driven development, continuous integration and so on. There are also talks about design, project management, agile and various php-related technologies. The PHP development team is proud to announce the first release candidate of PHP 5.4. PHP 5.4 includes new language features and removes several legacy (deprecated) behaviours. Windows binaries can be downloaded from the Windows QA site. This is the first release candidate. No new features will be included before the final version of PHP 5.4.0. The release candidate phase is intended as a period of bug fixing prior to the stable release. Added class member access on instantiation (e.g. (new Foo)->bar()). Changed silent conversion of array to string to produce a notice. Numerous bug fixes and improvements in the Core and other extensions. The PHP development team is proud to announce the second beta release of PHP 5.4. PHP 5.4 includes new language features and removes several legacy (deprecated) behaviours. Windows binaries can be downloaded from the Windows QA site. Please help us to identify bugs by testing new features and looking for unintended backward compatibility breaks, so we can fix the problems and fully document intended changes before PHP 5.4.0 is released. Report findings to the QA mailing list and/or the PHP bug tracker. This release includes numerous bug fixes and improvements since the first beta release. Read the NEWS file for a complete list of changes. The PHP Rio User Group is pleased to announce their third edition of the PHP'n Rio conference. It will be held on November 05th, 2011, at the CEFET-RJ university, Rio de Janeiro. 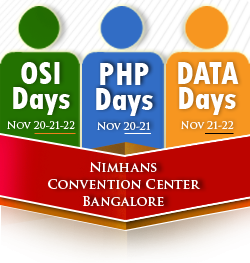 It is a one day conference aimed on providing experienced developers and beginners a chance to learn more about PHP frameworks, web applications built in PHP, and the art of testing code. Whether you live here or are around just enjoying the marvelous city, come and join us :) For more information, please visit http://www.phprio.org/phpnrio11 (Portuguese only). The Web DevCon 2011, the conference for web developers, will take place from 17th – 18th of October 2011 in the InterContinental in Hamburg (Germany). Web DevCon features trends, solutions and know-how for web developers: From web technology and web architecture to programming languages such as php, java and ruby as well as web frameworks and development tools. The event is aimed at web programmers, web designer, webmaster, software developers, agencies and project managers from advertising- and media agencies. The PHP development team is proud to announce the first beta release of PHP 5.4. PHP 5.4 includes new language features and removes several legacy (deprecated) behaviors. Windows binaries can be downloaded from the Windows QA site. New features were added and bugs were fixed since alpha1. Please help us to identify bugs by testing new features and looking for unintended backward compatability breaks, so we can fix the problems and fully document intended changes before PHP 5.4.0 is released. Report findings to the QA mailing list and/or the PHP bug tracker. Removed the timezone guessing algorithm. "UTC" is now used in case the timezone is not set. The mysql, mysqli and pdo_mysql extensions now use mysqlnd by default. The PHP Barcelona User Group is proud to announce that the 5th edition of the PHP Barcelona Conference is here! There will be 30 one-hour talks and workshops in two days with three parallel tracks, covering many PHP development subjects such as Application Scalability, High Performance, Frameworks and IDEs, Continuous Integration, Unit Testing, Best Practices, Cloud Computing, and many more topics and surprises. The conference will take place from the 28th to the 29th of October and will bring together Rasmus Lerdorf, Derick Rethans, Fabien Potencier, Marco Tabini and many more of the shiniest names in the industry for two fun-packed days of intensive PHP. The PHPBenelux Conference is ready for its third edition and takes place January 27th & 28th in Antwerp (Belgium). We're calling for papers until October 15th and we're very much looking forward to your submissions. Due to unfortunate issues with 5.3.7 (see bug#55439) users should postpone upgrading until 5.3.8 is released (expected in a few days). The Zend PHP Conference (ZendCon) is the largest gathering of the PHP Community and brings together PHP developers and IT managers from around the world to discuss PHP best practices and explore new technologies. Cloud Computing - build applications, not infrastructure. For a full list of changes in PHP 5.3.7, see the ChangeLog. For source downloads please visit our downloads page, Windows binaries can be found on windows.php.net/download/. We just launched ConFoo 2012 edition and are presently calling for papers. We are looking for the best speakers willing to share their skills and experience with developers and managers. ConFoo is a community driven conference dedicated to Web technologies. The conference will be held in Montreal from February 29th to March 2nd, 2012 at the prestigious Hotel Hilton Bonaventure. We will also have two days of private training. The topics will be revealed later this year. Talk proposals must be received by September 2nd and may be written in English or French. For more information and updates, visit our Website: http://confoo.ca/en. The PHP development team is proud to announce the first PHP 5.4 alpha release. PHP 5.4 includes new language features and removes several legacy (deprecated) behaviors. Read the NEWS file for a complete list of changes. This alpha release exists to encourage users to identify bugs, and to ensure that all new features and backward compatibility breaks are evaluated and documented before PHP 5.4.0 is released. Please report findings to the QA mailing list and/or the PHP bug tracker. Windows binaries can be downloaded from the Windows QA site. This is the first release that adopts the releaseprocess RFC. The next alpha will be released within four weeks. The PHP 5.4 feature set and API has not been finalized. We hope you find the above features useful, and please write phpdoc@lists.php.net with feedback. Additional features are being refined, which includes a JSON version of the manual. The PHP North West conference returns in 2011 with the usual great selection of technical content for you to enjoy! We're at Ramada Hotel on Picadilly Gardens right in the centre of Manchester on October 8th and 9th (Saturday and Sunday) with some excellent talks. For those looking for more in-depth technical learning, we're adding a tutorial day this year; join us on Friday 7th October for a full day of workshop format sessions with industry leaders - and every ticket includes a pass to the main conference! Ibuildings is proud to organise the fifth Dutch PHP Conference on May 20 and 21, plus a pre-conference tutorial day on May 19. Both programs will be completely in English so the only Dutch thing about it is the location. Keywords for these days: Know-how, Technology, Best Practices, Networking, Tips & Tricks. The Italian PHP user group GrUSP is pleased to announce the 8th edition of the Italian phpDay conference, taking place from May 12th to 14th, 2011 in Verona. We will show new development traits, best-practices and success cases related to quality, revision control, test-driven development, continuous integration and so on. There are also talks about design, project management, agile and various php-related technologies. phpDay introduces the most important international PHP gurus to italian and european developers. Tree tracks, three days of talks and workshops: you can learn best-practices, good methodologies, case histories about quality assurance, and have a broader view on development and innovation with PHP. The wiki.php.net box was compromised and the attackers were able to collect wiki account credentials. No other machines in the php.net infrastructure appear to have been affected. Our biggest concern is, of course, the integrity of our source code. We did an extensive code audit and looked at every commit since 5.3.5 to make sure that no stolen accounts were used to inject anything malicious. Nothing was found. The compromised machine has been wiped and we are forcing a password change for all svn accounts. We are still investigating the details of the attack which combined a vulnerability in the Wiki software with a Linux root exploit. For Apache SAPIs (php5_apache2_2.dll), be sure that you use a Visual Studio C++ 9 version of Apache. We recommend the Apache builds as provided by ApacheLounge. For any other SAPI (CLI, FastCGI via mod_fcgi, FastCGI with IIS or other FastCGI capable server), everything works as before. Third party extension providers must rebuild their extensions to make them compatible and loadable with the Visual Studio C++ 9 builds that we now provide. For a full list of changes in PHP 5.3.6, see the ChangeLog. For source downloads please visit our downloads page, Windows binaries can be found on windows.php.net/download/. The PHP Community Conference is a conference by and for the PHP community. It's for people who care about PHP and what they make with it. Inspired by conferences like Webstock and Brooklyn Beta, we want to make a friendly conference for us. Together with our friends and peers, we (Ben, Lisa, and Nick) aim to inspire you to make great things with PHP. The PHP Community Conference is a two-day event, taking place April 21st and 22nd, 2011 in Nashville, TN. We have an awesome line-up of speakers, including a keynote address by Rasmus Lerdorf. We'll kick things off with a tutorial day that will introduce you to tools and ideas that you can use in your code right away. The second day will consist of presentations that will inspire you to create something new with PHP. With the help of our sponsors, we are able to offer admission to the entire event for $350 USD. We'll provide lunch and snacks on both days. On Friday night, we'll finish off the conference with a party featuring pecha kucha talks by our awesome attendees. For more information and to register, check out our website at phpcon.org. The PHP development team would like to announce the immediate availability of PHP 5.3.5 and 5.2.17.